Celebrate with Jody by entering to win a Nikon Camera Prize Pack! 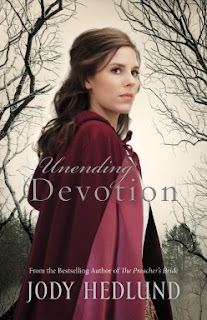 See what folks are saying about Unending Devotion! Enter today by clicking one of the icons below. But hurry, the giveaway ends on September 17th. Winner will be announced at the “Unending Deovtion” Author Chat Facebook Party on 9/18. Connect with Jody, get a sneak peek of her next book, try your hand at a trivia contest, and chat with readers just like yourself. There will also be gift certificates, books and a Book Club Prize Pack to be won (10 copies for your book club or small group)! I grew up in Michigan and love to read books that basically took place in my back yard. Lumber camps and timber is still such a big part of the history of Michigan. I loved the details into the lumber camps, some not pretty, but factual. I loved Lily's fortitude to rescue her sister at all cost. To put the past behind and press forward, a true love for her lost sister. In a time when women basically had no say, and little value, Lily searches out to find the rest of her family, her sister in hopes of restoration. I love that she is a strong woman, bent on achieving her goal despite the cost. I enjoyed watching her grow in character as well as she learns to start to trust and find other trustworthy people, in a place where they are hard to find. Fantastic historical fiction!! This was the first of Jody Hedlund's novels I have read. I am definitely going to check out her other books! I received a copy of this book free of charge in exchange for an honest review.